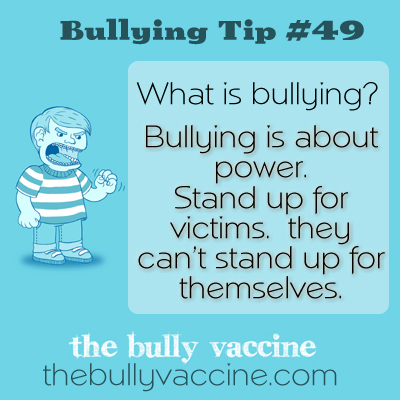 Bullying tip #49: Why standing up to a bully benefits you, the victim and possibly even the bully. Bullying is an abuse of a power imbalance. Stand up for victims because they can’t stand up for themselves. Bullies choose victims who can’t defend themselves. By standing up for them, you correct the power imbalance that bullies feed off of.